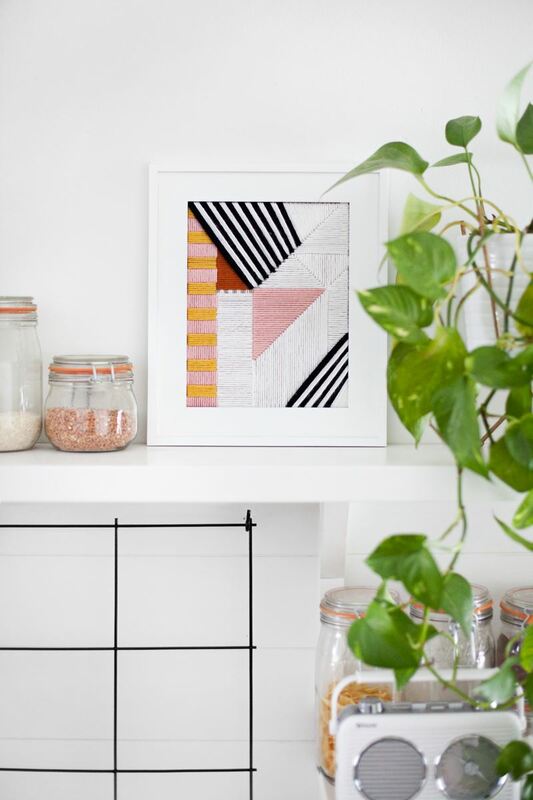 This project from Mandi Johnson of A Beautiful Mess is an easy way to create a modern geo statement piece. We’re loving this contemporary take on the beloved craft of embroidery. Embroidery mesh is your friend in this geo-fabulous creation from . 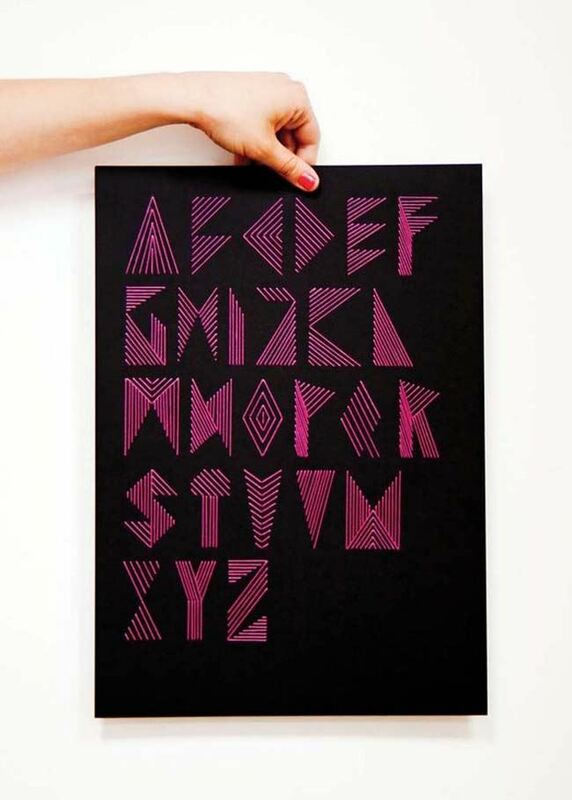 Bright colors and an abundance of triangles get the job done. This piece is filled with amazing detail, yet it’s a budget-friendly project. One we’re very tempted to try! 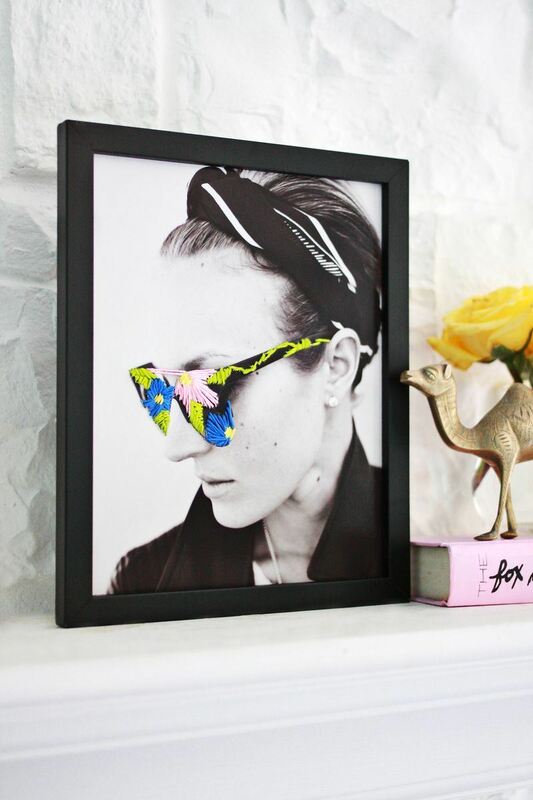 Also from A Beautiful Mess is this idea from blogger Laura Gummerman. 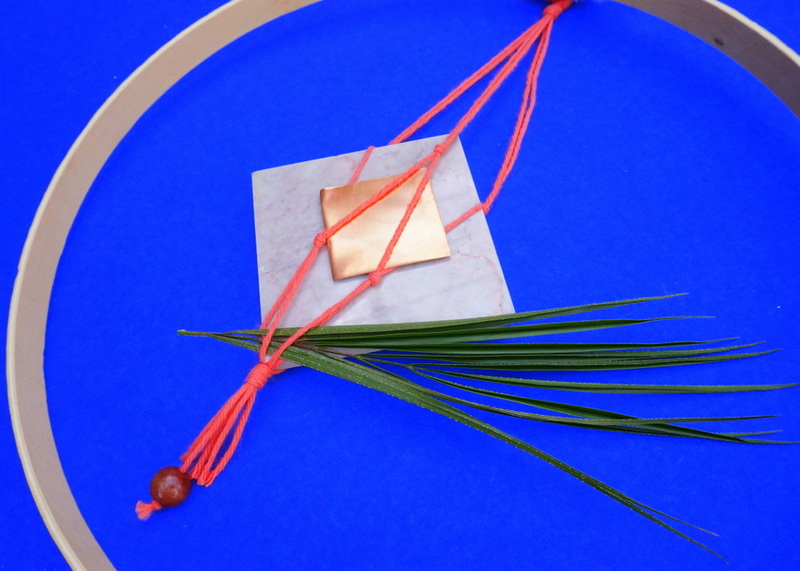 By using embroidery to embellish a wearable item (sunglasses, a hat, etc.) 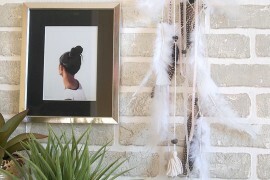 in a photo of your choice, you can add a colorful, textural touch to your interior! 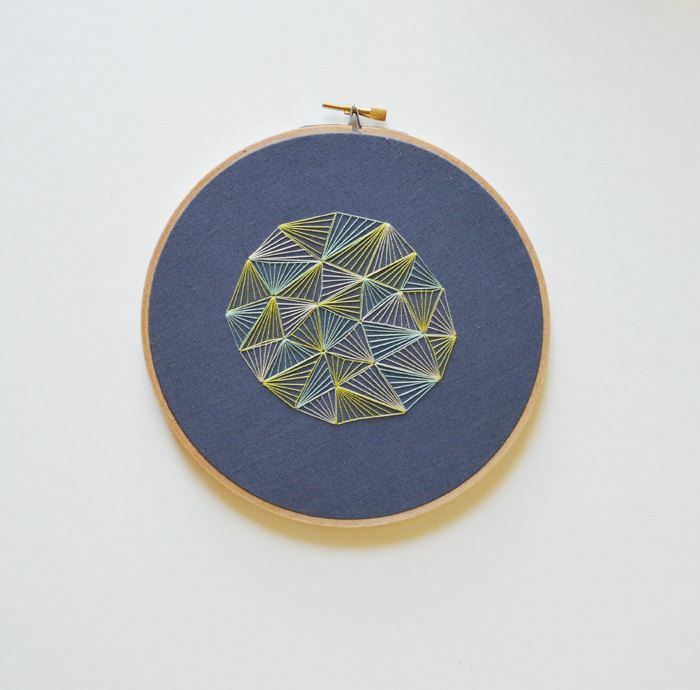 These Spirograph-style embroidery cards from Etsy shop are a great reminder that simple forms and careful needlework make beautiful music together. While Q en Blue is currently on hiatus, we discovered the design through . 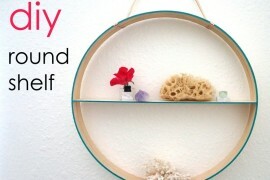 Inspiring and creative, don’t you think?! 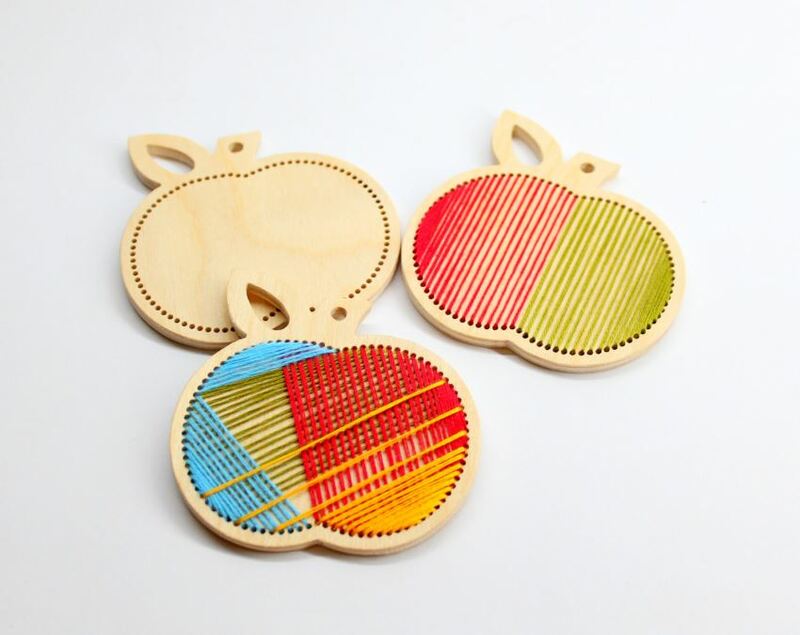 There’s a bit of Scandinavian style in this wooden apple embroidery kit from Etsy shop ! 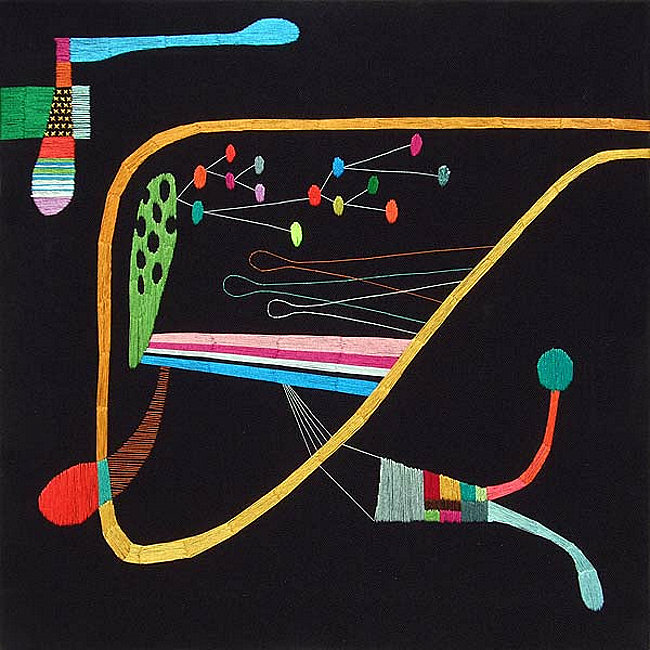 Birch plywood is the backdrop to a colorful, modern arrangement of embroidery thread. 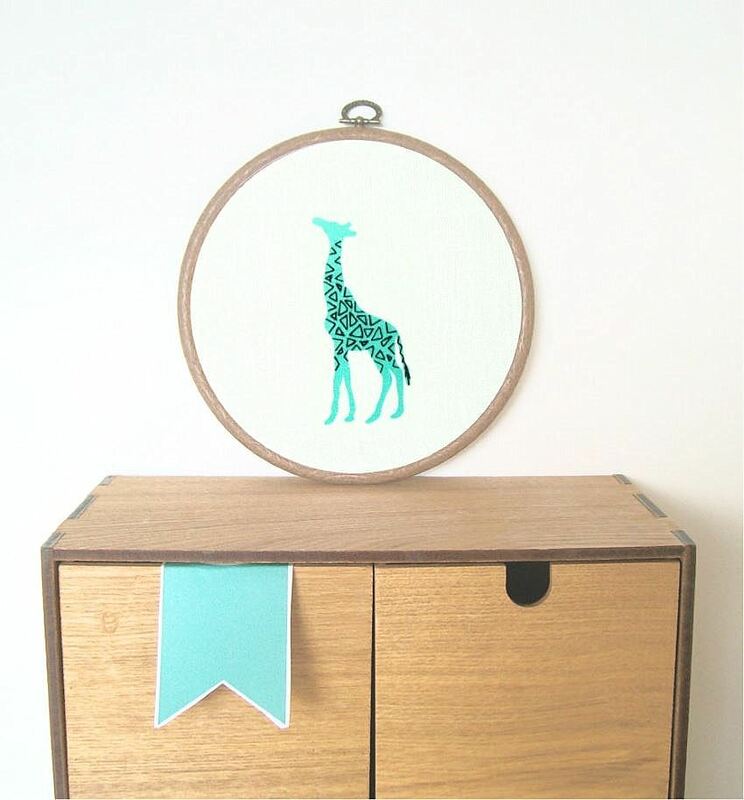 This geometric giraffe embroidery hoop art from Etsy shop features a modern print embellished with hand-embroidered accents. The combination of aqua with the black thread creates a vibrant textural effect. 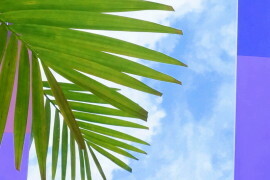 Take a closer look at that linen background–it’s light mint! We’re completely and totally inspired by the modern embroidery of . Below we see , created with embroidery floss and fabric. While we admit that we don’t have Iwasaki’s skills, the artist’s work inspires us to think outside of the box when designing original embroidery projects. 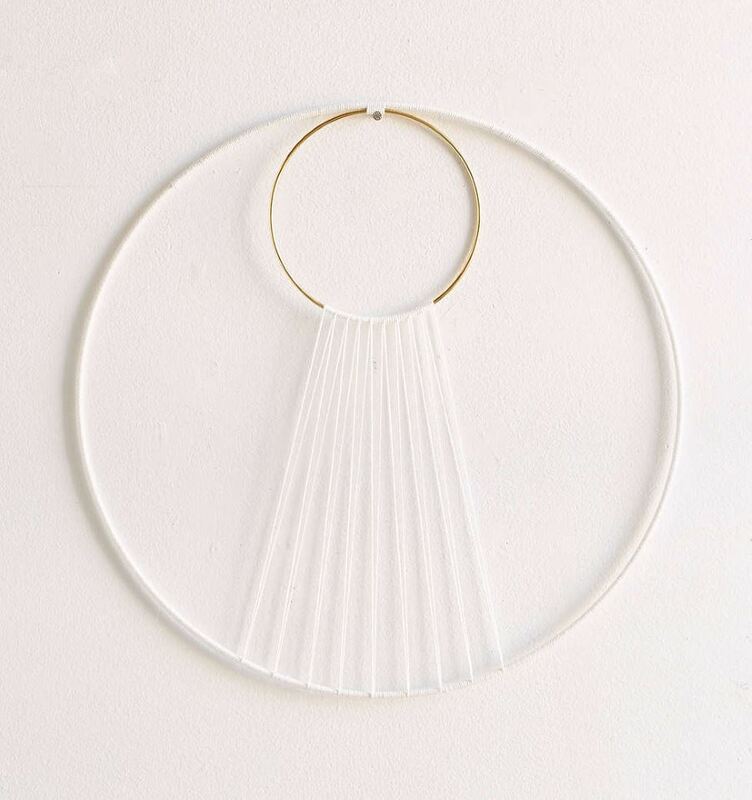 Get ready to put away the thread, because this section is all about the hoops! 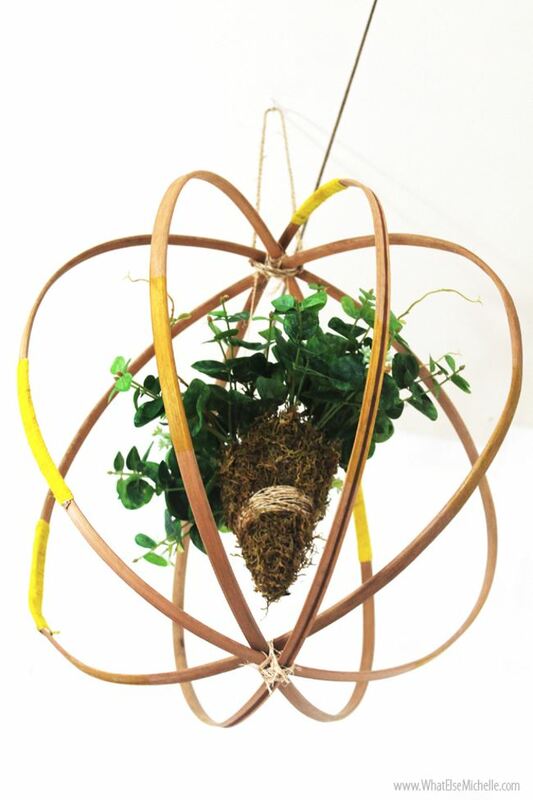 Yes, there are many projects that these perfect round wooden forms are ideal for. 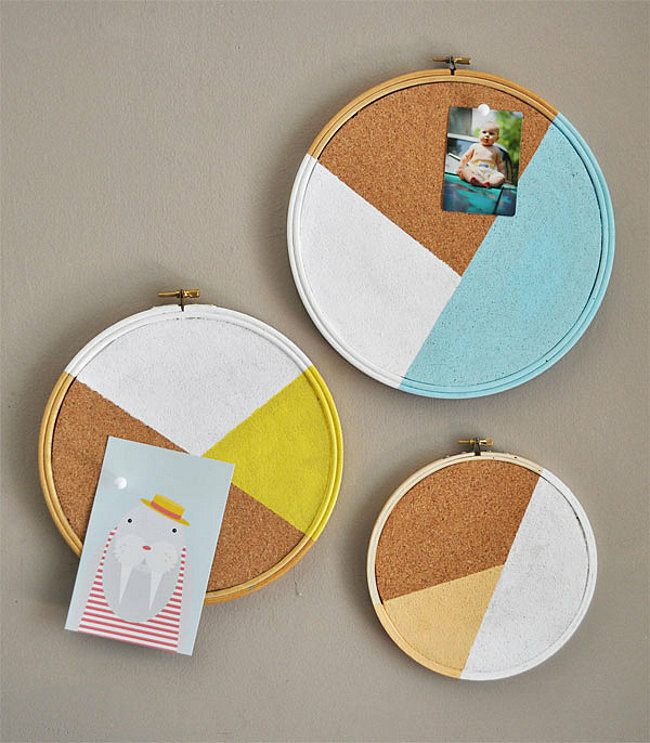 This Modern Geo Embroidery Hoop Cork Board idea from (featured at ) is the perfect way to add a functional splash of geo style. Use an embroidery hoop size of your choosing, and personalize the project with your favorite paint colors! 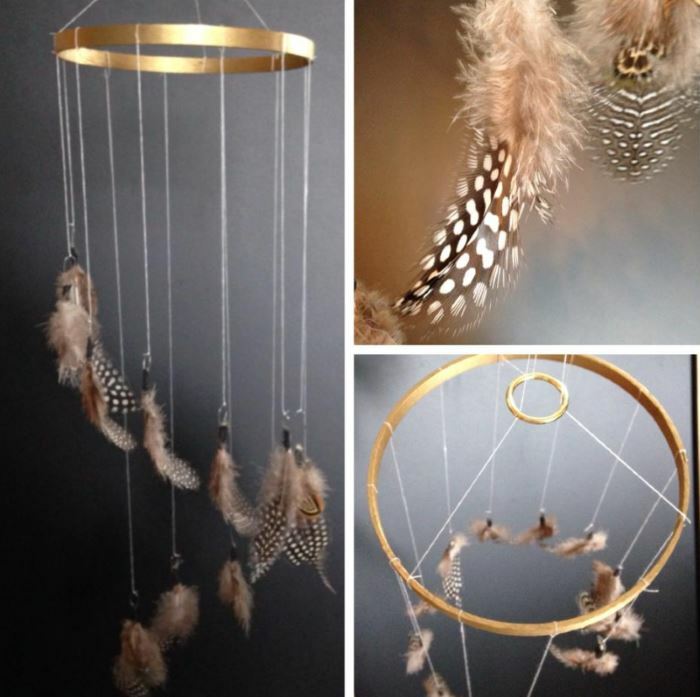 We’re fully aware that this Sonadora Hemp & Brass Eclipse Wall Hanging from is crafted of polished brass rings and waxed hemp rather than embroidery hoops and yarn. 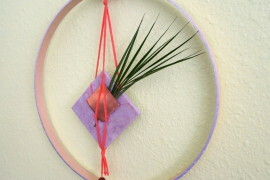 But it’s opened our eyes to the wall hanging possibilities of wooden embroidery hoops, especially when different sizes are involved! 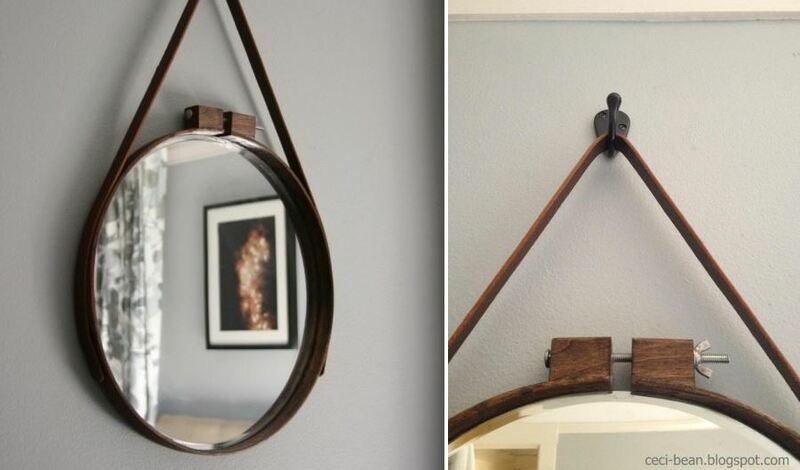 ‘s DIY Captain’s Mirror is a beautiful creation. 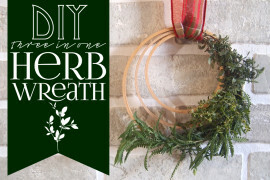 An embroidery hoop, a mirror, some wood stain, a belt and a couple other key supplies are all you need to make your own version. A beautiful form meets stylish function in this project! Finally, allow us to toot our own horn for a minute! 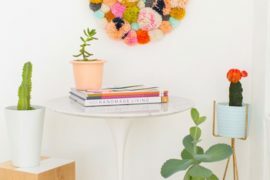 We’re ending today’s post with a couple of original Lining-shop DIY projects using embroidery hoops. 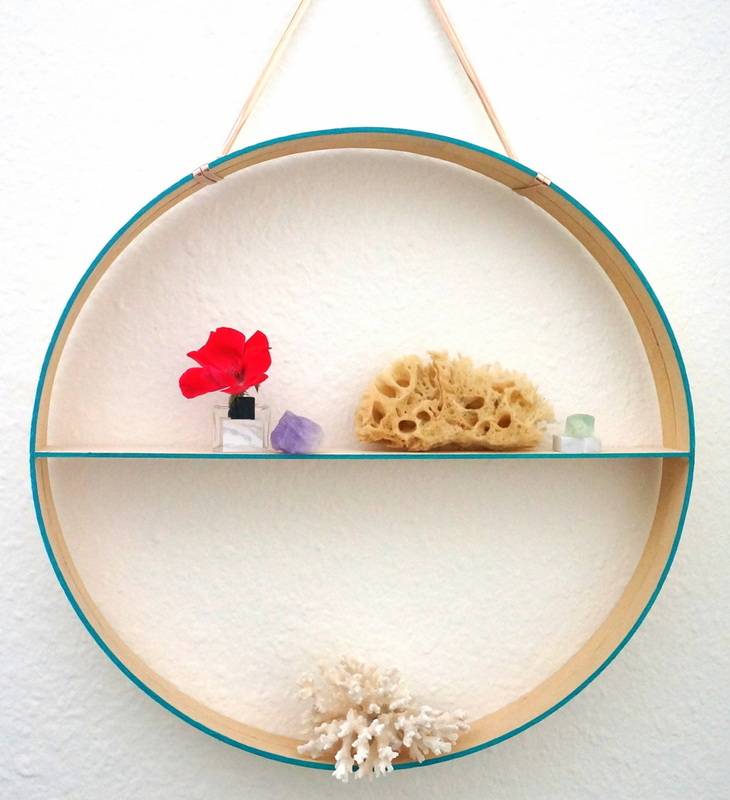 First up: a modern round hanging shelf, crafted from the inner pieces of two embroidery hoops. 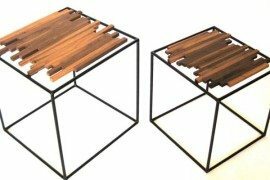 This super easy project involves no nails or screws – simply a glue gun! 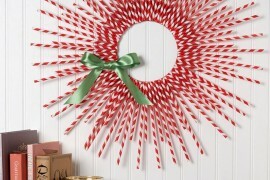 Use it to display lightweight items, and top it off with a coat of paint around the edge for an extra pop of color.